Just an easy all black look with the softest and prettiest faux fur accent. Adorable! After reading a few of your posts I've decided I really need something with fur. So cute! 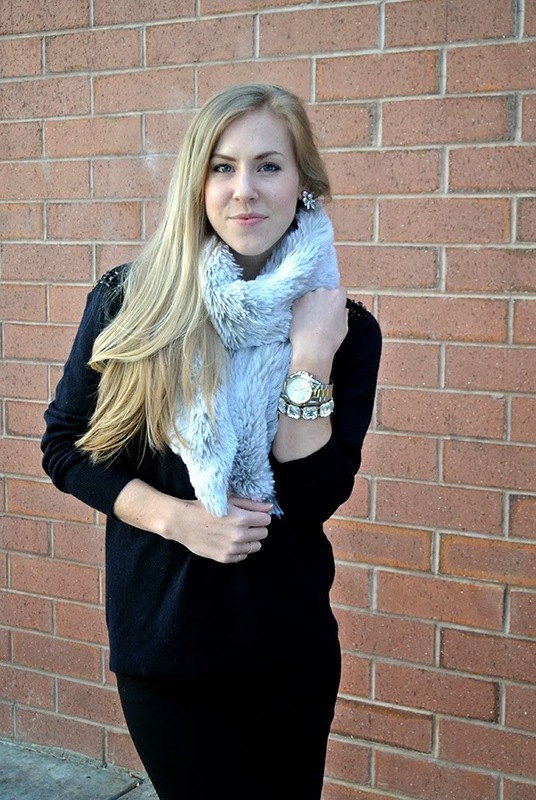 I have a similar faux fur snood that I love and wear a lot! It's freezing where I live right now!